Various complementary elements with base in satined brushed an chromed metal. 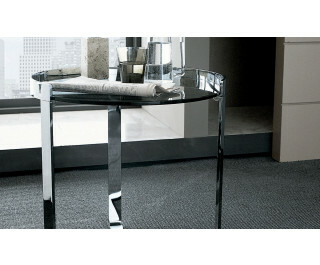 Top finished in transparent, satined, grey or varnished glass (thick. 10mm) or with the top matt lacquer (22mm thick). The version with matt lacquer top is also available with a drawer.